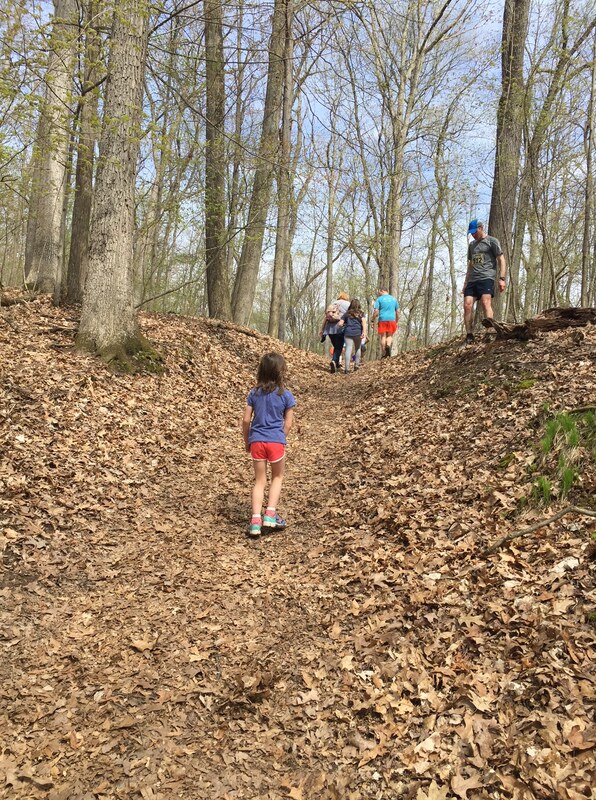 Medved Running and Walking Outfitters | ride.hike.eat. 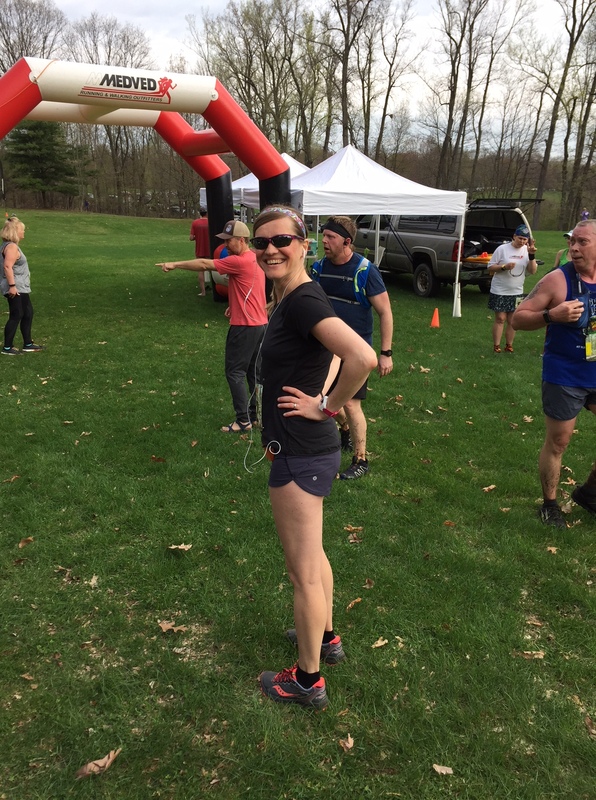 On Sunday, all three of us ran in the Medved Madness Trail Race… Joel and I, along with our friend Marc, ran it as a relay team (My So Called Legs… of course!) 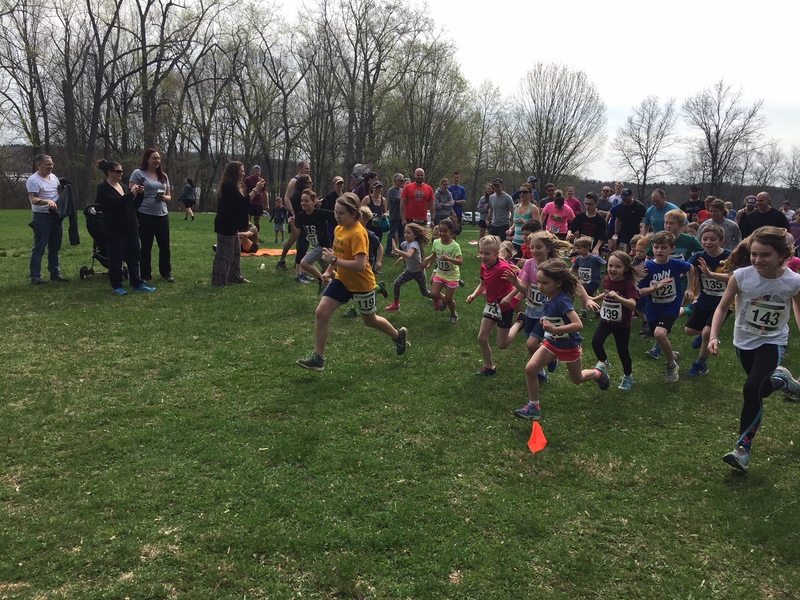 and Julia ran the kid race. As the race was nearing, I kept watching the forecast. The weather for this race has not been that good to us over the past two years, especially last year. Rain and snow greeted me during my leg. I was also training for a half marathon, so I ended up running a little over 9 miles in that miserable weather (read all about it). I was really hoping for something nicer this year. The weather Gods finally took some pity on us and the weather was fantastic!! Marc started the race for us. He really wanted to run the first leg, since he has not done that leg before and he also wanted to experience a mass start. He liked the rush of being in the pack. I ran next. I could not remember the exact route for this leg, but I really enjoyed it. I love running in pine forests and I ended up spending a bunch of time in it. The route also went through a grassy field, but it was not too bad. Also, my leg was not very muddy at all, which I was happy about! Ha! I was a little worried about my knee though… I rode my bike on the Wednesday prior to the race and it was kind of bothering me… I had a burning sensation when pedaling hard or while I was pedaling standing up. But it ended up being ok for the race. I tried not to go too hard. I ended up with a 10:48 avg pace for the 4.25 mile route, so I was happy with it! Joel’s run was amazing!! The kid race was at 10:45 of that morning, so we were unsure if Joel would finish before that. My friend Jess and I joked that we should tell Dan, who is her boyfriend and the organizer of the kid race, to stall the start until Joel finished. The time was getting closer, but all of a sudden I noticed Joel running towards the finish line with 10 minutes to spare! He ran the leg, which was the longest at 5.46 miles, at a 9:07 avg pace. Incredible!!! Julia was super excited to run the kid race. She was even more excited that she had an official race bib! 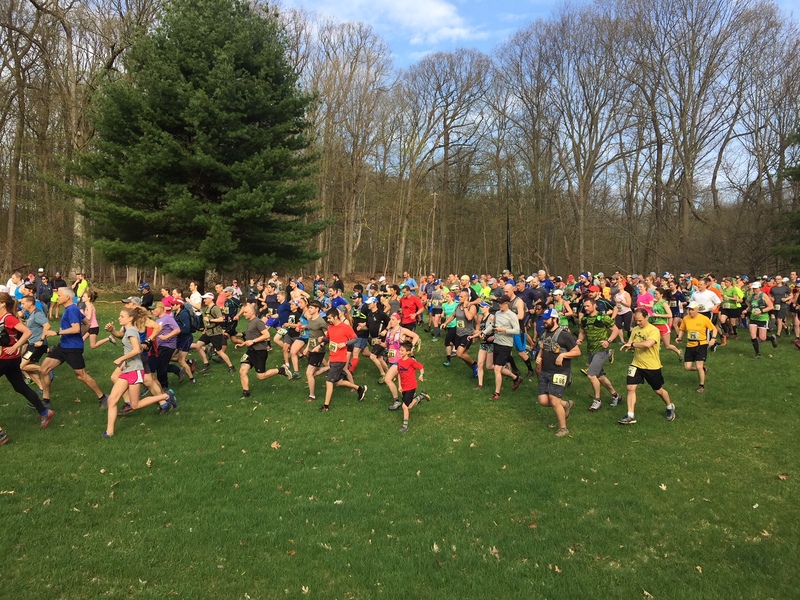 The kid race was well attended too… last I heard was that 34 kids signed up. That’s amazing!! As soon as Dan yelled “Go!”, they were off. Julia went full force for a while. I decided to run along so I can capture some photos. Not far after the start, I could see that she was slowing down and that she kept rubbing her left side. She made the rookie mistake and went off too hard… she got a cramp. I kept encouraging her to keep going, but then she got upset. I grabbed her hand and reassured her that it was ok and that we can just walk for a bit. And then the mud section came. It was chaos… the kids did not really want to go through all that mud… neither did I, again! We made it through the section and I can tell that she was feeling better. We passed this little girl who was crying uncontrollably since she was full of mud and lost her shoe in the mud deepness. I felt super bad. I saw Joel cheering Julia on so I told him to keep cheering for her and that I was going to help the little girl. I went to her and tried to calm her down. I grabbed her hand and we walked together the rest of the way. I told her that many of us ran through that mud too and some even lost their shoes. I am not sure that it made her feel any better since she could not stop crying. As we got closer to the finish, her dad met us and he thanked me for helping her. I ended up not seeing Julia finish her race, but I felt better that the little girl was not alone in distress. After our amazing feast of chicken BBQ, pasta, coleslaw, salad, rolls, and beer (yes, we even got some free beer from The Lost Borough!! ), I did capture a photo of Julia at the finish line. Both Joel and I told her that she did such a great job. She disagreed saying that she got a cramp. Joel explained to her the mistake that all runners make where they start off too hard and then they cramp or bonk. I think that she got it. We further told her that the most important part was that she had a good time and that she finished. 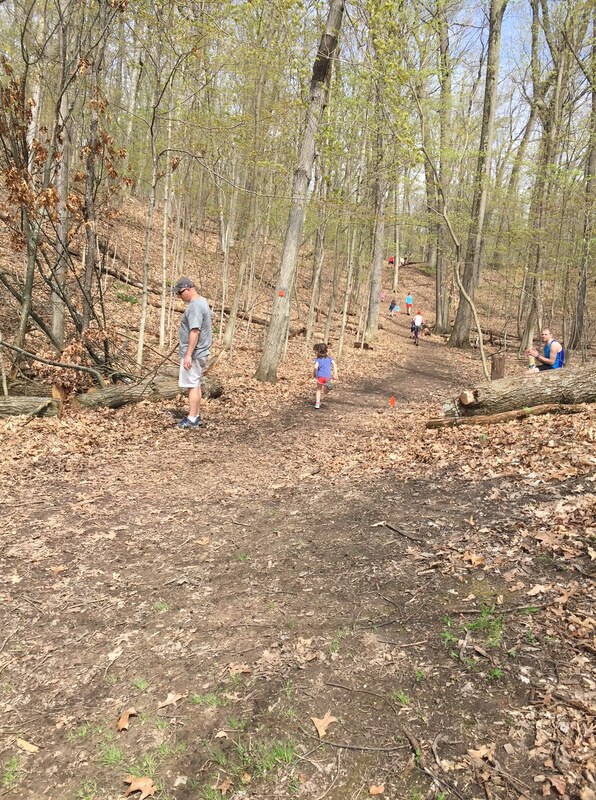 Because is that not the reason why we run… to have some fun in the woods?!? Enjoying her prize… an ice cream sandwich! Thank you Medved for once again putting on a great race and providing us with a delicious feast!! 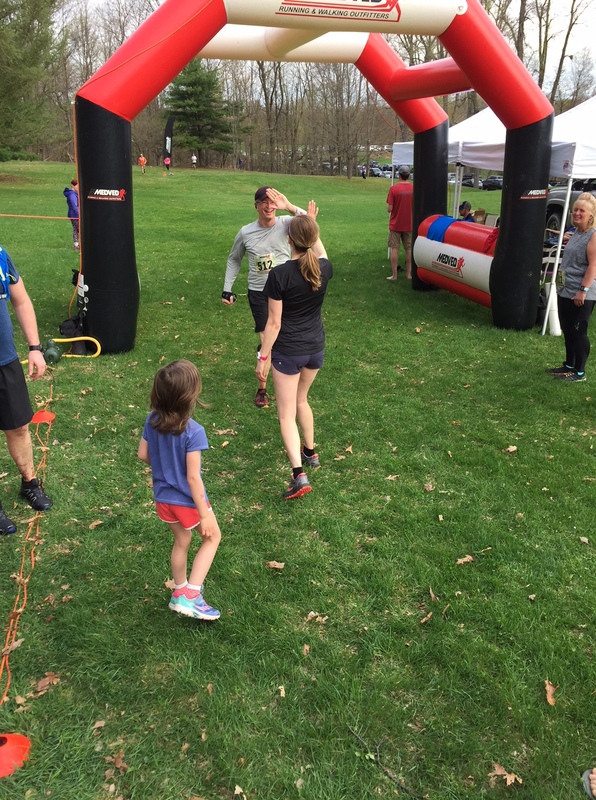 The Medved Madness trail race took place a few weeks ago… on May 1st to be exact. I am always weary about signing up for anything that takes place outside… I do not like to do anything outside if it rains. Before I started running, I would always sign up for the Highlander Cycle Tour, which in the past took place in September. September in Rochester can be super hot, super cold, super sunny, or super rainy. In fact, the first year that I rode it, it was all those throughout the ride. It was also my first century and I kept thinking to myself what was I doing out there riding for 100 miles in the cold/cloudy, then sunny, then rainy, then cold, then sunny/warmer day. I think that out of the 6 years that I rode it, only 2 or 3 times was nice out. Julia was happy to see Daddy! In the days leading up to the Medved Madness run the weather was looking good. No rain but a bit chilly. Then of course, with my luck and the stupid Rochester weather, it changed to rain. Bah! “Why can it just be nice for once!”, I complained to Joel. I ran the run as a relay… Joel ran the first leg, our friend Marc ran the second leg, and I ran the last leg. The run was actually super fun! And the weather ended up not being too bad. It was just a bit drizzly at times and not too cold. 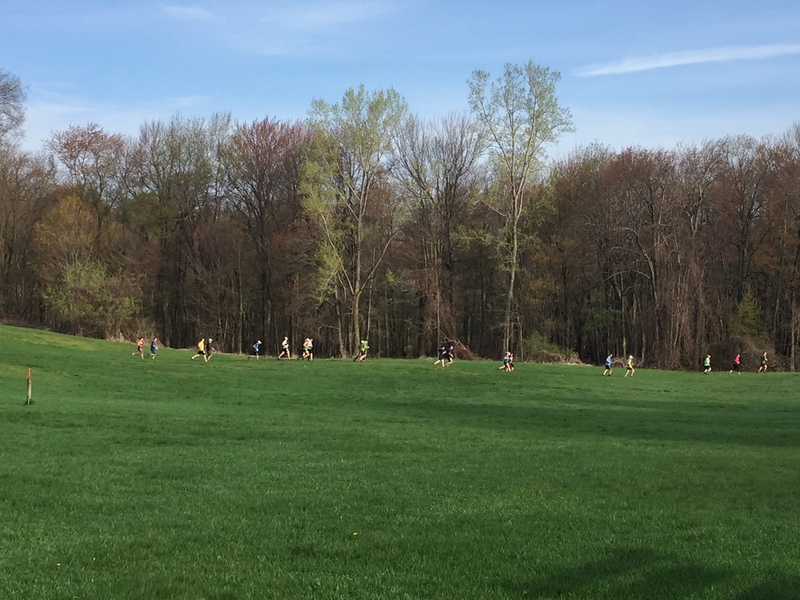 Also, with my luck, I ended up running through the exact same mud gardens and hill as in the Dirt Cheap race, since the race was also in Mendon Ponds Park. Super lucky! Ha! 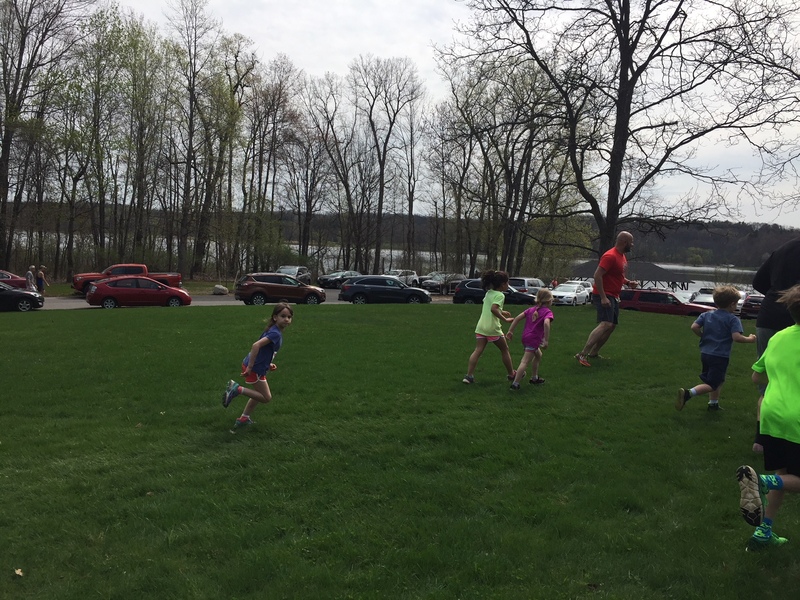 But the most exciting part of the race was the kid race. When we first told Julia about our race, she enthusiastically told us that she wanted to run in the race too. Of course we said yes! So during the leading months, weeks, and days, she trained for the race too. Joel set up courses for her… around the perimeter of our house, around the trees in our front yard. She was super excited! As we were walking towards the event tent, Julia told me that this year she wanted to run it on her own. Last year she ran the race too, but we ran together and I held her hand the entire way. She was only 2 1/2, so I was impressed that she even wanted to run it at all. She did great last year too. She also told a few of her friends that she was going to run in the rain. Although, as we were walking towards the race tent, she mentioned that she no longer wanted to run in the rain. I reassured her that it was not a big deal and that all of us were going to run too. I am glad that she changed her mind. As the kids took off and she ran past me, I could tell that she was super excited. I ended up running behind her to cheer for her and to make sure that she ran the course. She had the largest smile on her face the entire time. As I was checking out the photos that Joel and Marc took, I noticed that she also had an intense and focused look on her face at times. She seemed so determined to have a good run. And she did! She did SO awesome! We are super proud of her. I think that she is proud too… she talked about it for a few days after the race. It was so fun to watch her race and I loved her excitement and enthusiasm. I hope that we can find some more races for her soon. She did it!! Good job Julia!! Lastly, I wanted to mention the après run party. 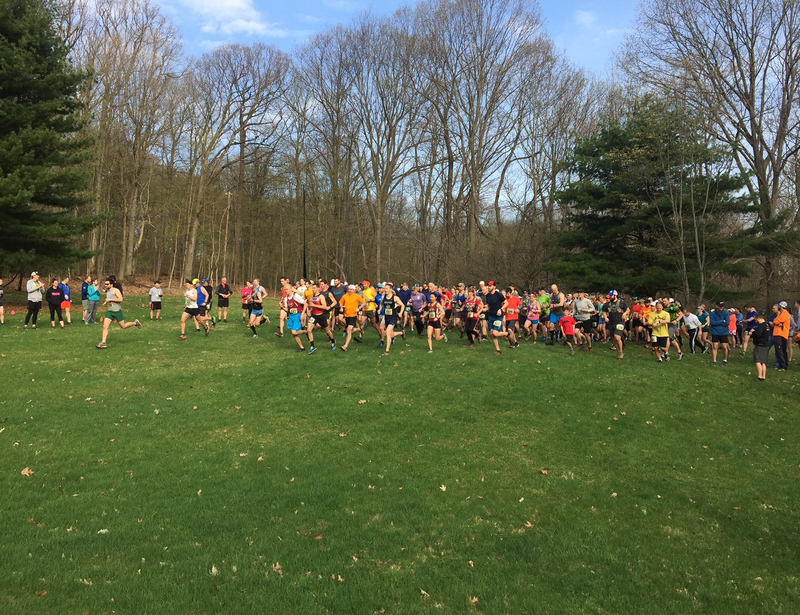 This was by far the best running event that I have ever attended. The food was fantastic! We are super lucky to have Medved in our community. They did a fantastic job with the entire event!